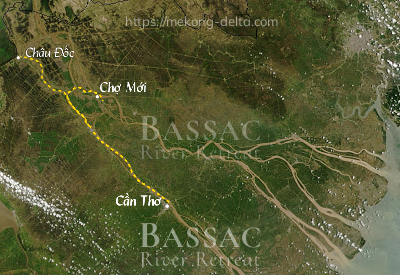 Enquire or book a trip along Châu Đốc - Cần Thơ - Chợ Mới - Cần Thơ. 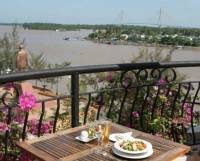 Lunch on shore in an old French-era building of the Comptoirs d\'Indochine. 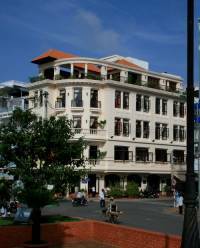 Visit of the old Cần Thơ market. Boarding back, welcome drink and departure towards upstream river Bassac.